Designed to deliver quality presentations. 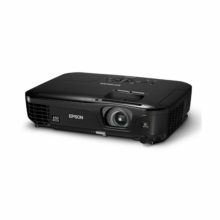 Epson’s top-of-the-line, all-in-one business projector combines Epson’s 3LCD technology to deliver bright, high-quality, graphics-rich multimedia presentations in high resolution for an unbeatable cinema-like experience. Make an impact in large venues on screen sizes as big as 60″ – 500″ without compromising on image quality. The ultra-high precision Auto Iris control system delivers a 5000:1 contrast ratio. The brightness level of each scene is monitored and the light output is automatically adjusted to the optimal level. So even with rapid switching between light and dark scenes, the projector adapts instantaneously to ensure deep blacks and accurate colour reproduction. Auto Iris works by moving the top and bottom shutters, constantly optimising light output to deliver crystal-clear highlights and deep dark blacks. * Auto Iris feature is available only when Colour Mode is set to Dynamic, Theatre, or Customised. * Auto Iris is disabled when Multi-screen is set to On. 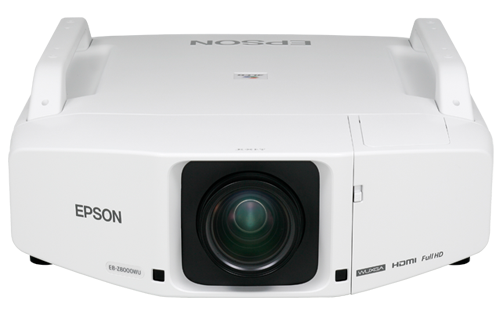 This is the first business projector equipped with cinema filter, typically used only in Epson’s home projectors. The Epson Cinema Filter extracts very pure hues of the three primary colour gamut, enabling unbeatable colour reproduction and quality while maintaining the high contrast ratios that are difficult to achieve with electronic colourcorrection. So your presentations become an accurate and faithful reproduction of the original colour and content, with the same range of colours as those of digital cinema. 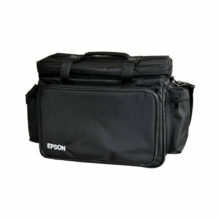 * The Epson Cinema Filter activates automatically when Theatre mode or sRGB mode is selected. 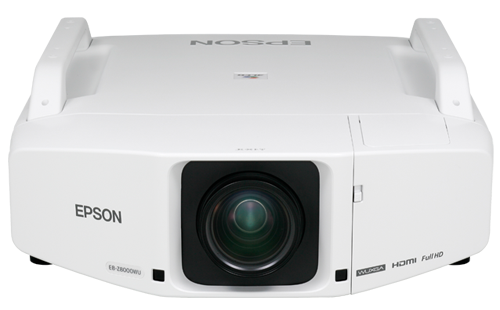 C2FINE technology, previously only available in high-end home cinema projectors, is now available with the EB-Z8050W business projector. With C2FINE, flawless pictures are delivered more naturally and are easier on the eye. The Epson Original Cooling System uses a Peltier-effect heat exchange semiconductor circuit. This is the world’s first projector ever to be equipped with a Peltier-effect cooling system, designed to preserve brightness and picture quality. Its low-noise operation ensures the projector remains unobtrusive in meeting rooms and lecture halls. 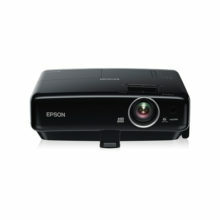 The inorganic LCD panel and optical component design allows the system to withstand temperatures of up to 45 Degrees Celsius, preventing the projector from overheating. 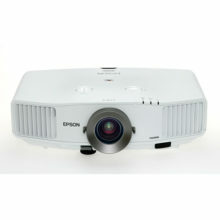 The projector is equipped with long-life lamps of 2500 hours (in normal mode) or 3500 hours (Eco mode). They can be replaced quickly without the need for tools or removal of the unit from the ceiling. This long-life maintenance-free filter protects the projector by absorbing airborne dust, preventing it from entering the projector. Simply remove the side cover to replace the filter when needed. The projector can be easily mounted onto the ceiling without being turned upside down. This gives easy access to the control panel even when ceiling mounted. With a maximum vertical lens shift of 70% and maximum horizontal lens shift of 20%, you can place the image on screen exactly where it needs to be. Vertical projection upwards or downwards makes this projector ideal for malls or media owners to project marketing messages with impact.